Italy's oldest surviving football club was founded on this day in 1893 in Genoa. Originally named Genoa Cricket and Athletic Club, it was established by British Consular officials and for a number of years football was a minor activity. 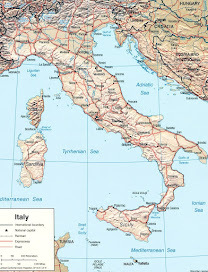 Initially, Italians could not be members. Football became more its focus after an English maritime doctor, James Spensley, arrived in Genoa in 1897 and organised a match against Football Club Torinese, which had been formed in Turin in 1894. 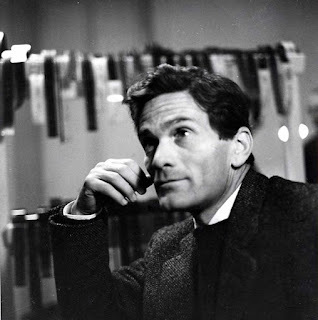 Spensley insisted the club's rules be altered to allow Italians to play. 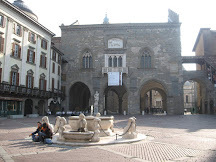 The match took place in January 1898 and although the attendance was only around 200 spectators, it was deemed a success by those who took part, particularly the Turin side, who won. After a return match, plans were drawn up to form an Italian Football Federation and to organise a first Italian Championship. Genoa were the inaugural champions, although only four teams took part and the competition was completed in the course of one day, in May, at the Velodromo Umberto I in Turin. Spensley's team beat Internazionale of Milan in the final. Nonetheless, in the statistical record books the 1898 title carries no less weight than the 2016 version, which involved 20 teams playing 38 matches each over a period of nine months. 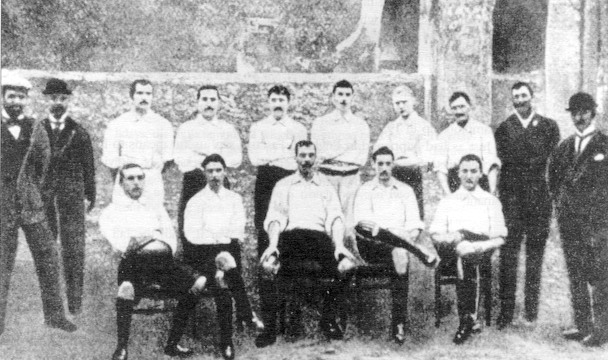 Genoa, who responded to winning the 1898 title by changing their name to Genoa Cricket and Football Club, dropping athletics from the title, and went on to win again four times in the next five years, usually with Spensley in goal. They also took part in the first organised international match when they played a friendly against Nice in 1903. In all they have been Italian champions nine times, although their last success was in 1923-24. The club's English heritage is celebrated by supporters, who often display banners in English. Although forced by the ruling Fascists to change the club name to an Italianised Genova 1893 Circolo del Calcio in 1928, they reverted to Genoa Cricket and Football Club in 1945 and still go under that name today. 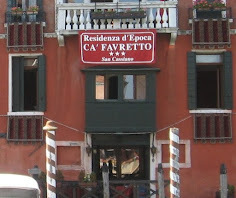 Spensley's part in the heritage of the Ligurian port city is recognised with a plaque on the wall of the house where he lived. 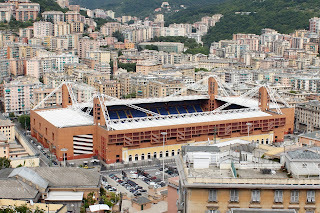 Originally based in the Campasso district of Genoa, they have played since 1911 at the Stadio Luigi Ferraris, the oldest Italian football ground still staging professional football. 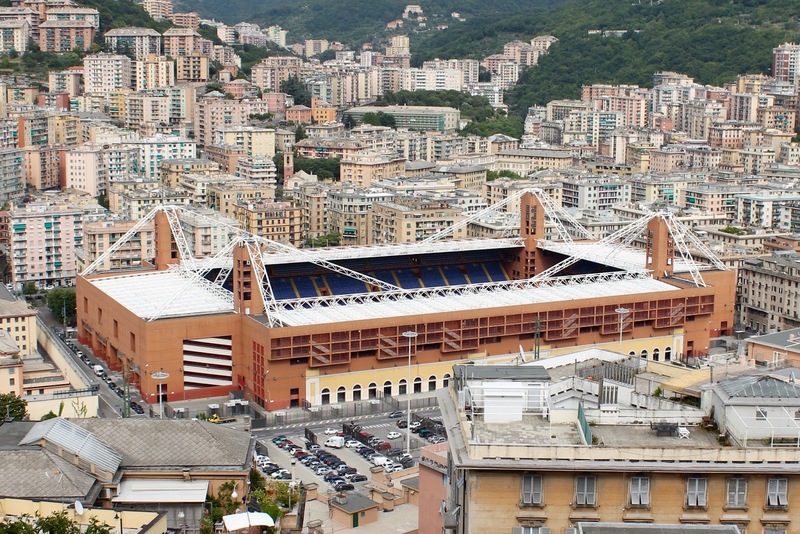 The stadium has been shared since 1946 with Genoa's much younger neighbours, Sampdoria. 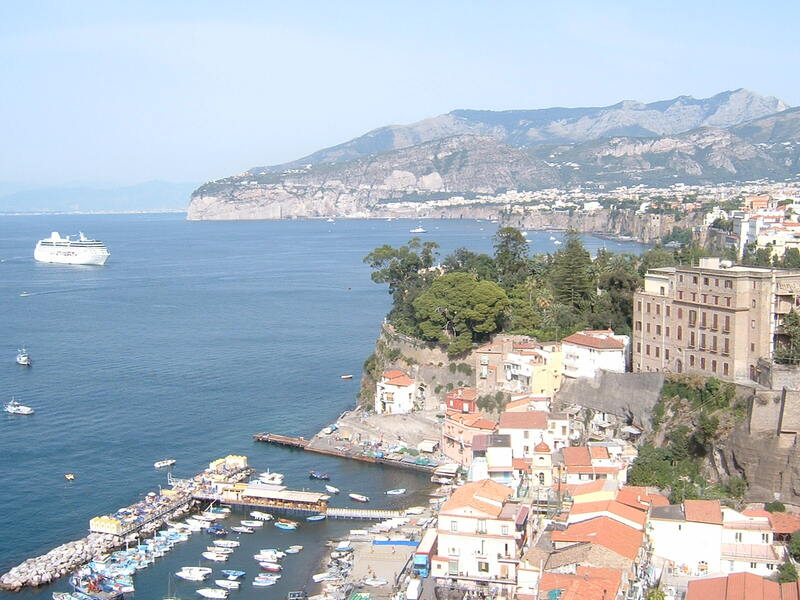 Genoa, wedged between the Ligurian Sea and the Apennine mountains, is a colourful port city. 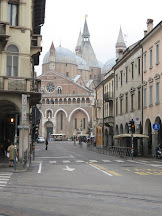 There is much to enjoy about the city's vibrant character as well as many outstanding buildings, such as the Romanesque Cathedral of San Lorenzo, with its black-and-white-striped façade and frescoed interior. 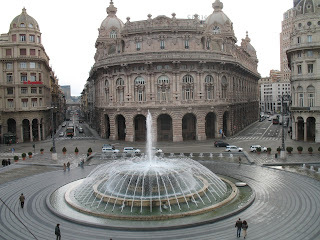 Genoa's Piazza de Ferrari, as well as being renowned for its bronze fountain, is surrounded by the headquarters of a number of banks, reflecting the status the city enjoyed at the end of the 19th century as Italy's financial centre, alongside Milan. The Teatro Carlo Felice opera house is another nearby attraction.